Just as Moses heard God's voice thunder throughout the smoky reaches of Sinai, so today God's prophets receive revelation and proclaim the mind and will of the Lord. 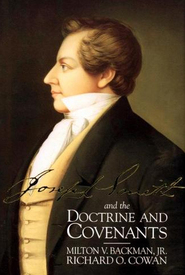 From the Prophet Joseph Smith's first vision in 1820 to his numerous revelations recorded in the Doctrine and Covenants to the revelations of subsequent prophets, God speaks to his children in these latter days. 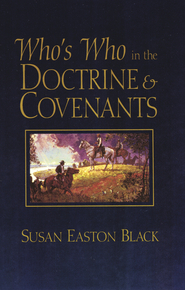 In Revelations of the Restoration, authors Joseph Fielding McConkie and Craig J. Ostler place modern revelation in its historical and doctrinal context. Their insightful commentary and detailed explanations help us better understand the meaning of the revelations and the circumstances in which they were given. The inspired insights of prophets and the keen thinking of scholars make this work vital to our study of the restored Church and the guidance it has received from the Lord. By evidencing a never-changing God who remains a God of miracles and who continues to offer important guidance, Revelations of the Restoration reminds us that God loves his children today as much as he loved them anciently. Joseph Fielding McConkie was born and reared in Salt Lake City. A former missionary to Scotland, he also served as an LDS chaplain for three years, one of which was spent in Vietnam. He graduated from Brigham Young University, where he also received a master's degree in Church History and a doctorate in Educational Administration. He and his wife, Brenda, are the parents of eight children. Superb! 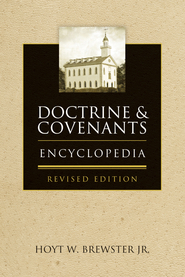 A veritable reservoir filled with knowledge from many different authoritative sources; includes the complete 'Lectures On Faith' (a must have)and 'The King Follett Discourse' in addition to its insightful commentary and historical context and setting. Easy to read, engaging, difficult to put down! The gospel library isn't complete without it! 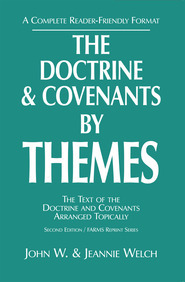 If I only had one book to help me understand the Doctrine and Covenants better, this would be it. I've taught EM seminary for several years and love reading the scriptures with a commentary to help enlarge my thinking and understanding. This has so many wonderful insights and it gives great background to the setting in which the revelations were given. It has been great for my understanding of the restoration of so many wonderful gospel truths.